New York University Press, 9781479867998, 336pp. 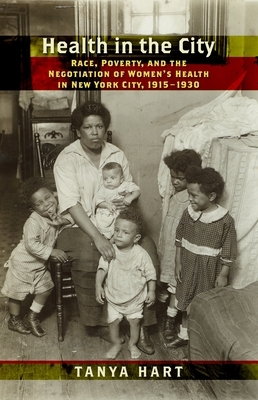 Shortly after the dawn of the twentieth century, the New York City Department of Health decided to address what it perceived as the racial nature of health. It delivered heavily racialized care in different neighborhoods throughout the city: syphillis treatment among African Americans, tuberculosis for Italian Americans, and so on. It was a challenging and ambitious program, dangerous for the providers, and troublingly reductive for the patients. Nevertheless, poor and working-class African American, British West Indian, and Southern Italian women all received some of the nation's best health care during this period. Health in the City challenges traditional ideas of early twentieth-century urban black health care by showing a program that was simultaneously racialized and cutting-edge. It reveals that even the most well-meaning public health programs may inadvertently reinforce perceptions of inferiority that they were created to fix. Tanya Hart is an Associate Professor in the Department of History at Pepperdine University (CA).